Registration guidelines and City tour details are updated. Please visit Registration section for more details. Early Bird Registration deadline for delegates is over now. Please visit Registration section for more details. Innovations in Software Engineering Conference, ISEC (Formerly known as India Software Engineering Conference) is the annual conference of iSOFT, the India chapter of ACM SIGSOFT (http://isoft.acm.org/) under the umbrella of ACM India. 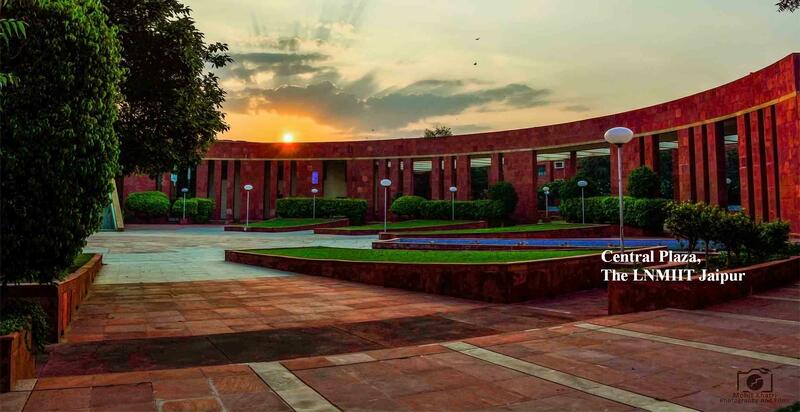 The 10th edition of the conference will be held at The LNMIIT, Jaipur, India. ISEC will bring together researchers and practitioners from across the world to share the results of their work. The goal of the conference is to provide a forum for researchers and practitioners from both academia and industry to meet and share cutting-edge advancements in the field of software engineering. 7. Do Software Reliability Prediction Models meet industrial perceptions? 1. Ramp-up Journey of New Hires: Do strategic practices of software companies influence productivity? 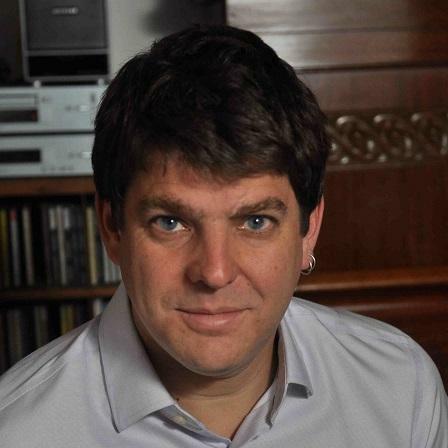 Sebastian Uchitel is a Professor at University of Buenos Aires, researcher at the Argentine national research agency, CONICET, and holds a Readership at Imperial College London. He received his undergraduate Computer Science degree from University of Buenos Aires and his Phd in Computing from Imperial College London. His research interests are in behaviour modelling, analysis and synthesis applied to requirements engineering, software architecture and design, validation and verification, and adaptive systems. Dr. Uchitel was associate editor of the Transactions on Software Engineering and is currently associate editor of the Requirements Engineering Journal and the Science of Computer Programming Journal. He was program co-chair of ASE’06 and ICSE’10, and will be General Chair of ICSE’17 to be held in Buenos Aires. Dr Uchitel has been distinguished with the Philip Leverhulme Prize, ERC StG, the Konex Foundation Prize and the Houssay Prize. Prof.dr. Henderik A. Proper, Erik to friends, is Head of Academic Affairs of at the Luxembourg Institute of Science and Technology (LIST) in Luxembourg, and senior research manager within IT for Innovative Services (ITIS) department of LIST. He also holds a chair in Information Systems at the Radboud University Nijmegen. Furthermore, he chairs the Enterprise Engineering research network involving researchers from a.o. these two institutions. Erik has a mixed background, covering a variety of roles in both academia and industry. His professional passion is the further development of the field of enterprise engineering and enterprise architecture. His long experience in teaching and coaching a wide variety of people enables him to involve and engage others in this development. He has co-authored several journal papers, conference publications and books. His main research interests include enterprise architecture, enterprise engineering, enterprise modelling, systems theory, business/IT alignment and conceptual modelling. Erik received his Master's degree from the University of Nijmegen, The Netherlands in May 1990, and received his PhD (with distinction) from the same University in April 1994. In his Doctoral thesis he developed a theory for conceptual modelling of evolving application domains, yielding a formal specification of evolving information systems. After receiving his PhD, Erik became a senior research fellow at the Computer Science Department of the University of Queensland, Brisbane, Australia. During that period he also conducted research in the Asymetrix Research Lab at that University for Asymetrix Corp, Seattle, Washington. In 1995 he became a lecturer at the School of Information Systems from the Queensland University of Technology, Brisbane, Australia. During this period he was also seconded as a senior researcher to the Distributed Systems Technology Centre (DSTC), a Cooperative Research Centres funded by the Australian government. From 1997 to 2001, Erik worked in industry. First as a consultant at Origin, Amsterdam, The Netherlands, and later as a research consultant and principal scientist at the Ordina Institute for Research and Innovation, Gouda, The Netherlands. In June 2001, Erik returned to academia, where he became an adjunct Professor at the Radboud University Nijmegen. 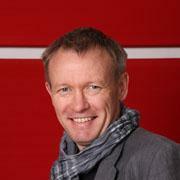 In September 2002, Erik obtained a full-time Professorship position at the Radboud University Nijmegen. In Januari of 2008, he went back to combining industry and academia, by combining his Professorship with consulting and innovation at Capgemini, with the aim of more tightly combining his theoretical and practical work. Finally, in May 2010 Erik moved to the Luxembourg Institute of Science and Technology (formerly called the Public Research Centre - Henri Tudor) in Luxembourg, while continuing his chair at the Radboud University Nijmegen, The Netherlands. Title of Talk: Runtime Controller Synthesis for Self-Adaptation: Discretion Required. Self-adaptation is often loosely defined as the ability of systems to alter at runtime their behavior in response to changes in their environment, capabilities and goals. Yet we have been building self-adaptive systems have been engineered for decades. The shift from functional, input-output software, to reactive systems stems from the need to have software that can sense its environment, whose behavior is uncertain, and react accordingly. In this talk I will argue that this definition is too broad and that it dilutes a very real need for a particular quality of today’s software systems. I will postulate that a more refined definition of adaptation should emphasize the need for systems to have the ability to react to changes that were originally unforeseen at design time, and to provide assurances on the correctness of these adaptations. How can systems be designed to account for what is unforeseen? I will argue that a key design decision for achieving self-adaptation is to endow systems with the capability of synthesizing at runtime discrete event controllers. Indeed, reactive systems that are requirements and assumptions aware, if extended with run time controller synthesis capabilities are equipped with a powerful infrastructure towards achieving assured self-adaptation. The vision of runtime discrete event controller synthesis at the heart of self-adaptation requires developing appropriate architectures. I will discuss Morph, a reference architecture that can support not only runtime synthesis but also deal with two other crucial elements: (i) interface, requirements and assumption awareness and (ii) runtime controller deployment and dynamic structural and behavioral reconfiguration. Title of talk: Organisational Design & Enterprise Engineering –Two sides of the same coin? Change is a constant for most contemporary organisations, whether it is initiated top-down, or it emerges botom-up. One could even say that organisations are continuously in motion. Dealing with change in organisations can be approached from many different vantage points. In this presentation, we investigate two of these vantage points, while also trying to bridge between them. More specifically, we will look at Organisational Design, originating from social sciences, and Enterprise Engineering, originating from engineering sciences. Organisational Design considers organisations as the result of social interactions between (human) actors. By way of this interaction, the actors define and shape the organisation. This could, indeed, happen in a directive / top-down style, as well as in a more open / bottom-up style. Even more, ‘top-down’ decisions made by a few, might not actually be institutionalised by the many that may be effected by these decisions. Enterprise Engineering, also referred to as Organisational Engineering or Business Engineering, includes domains such as Business Process Management and Enterprise Architecture. It extrapolates from Software Engineering via Information Systems Engineering, to the engineering of organisations and their enterprises. The core tenet of Enterprise Engineering is to treat enterprises as purposefully designed artefacts. This may seem natural from an engineering point of view. But do organisations, being made up primarily from humans, behave rationally? Can organisations be engineered at all? Does the extrapolation hold? Organisational Design and Enterprise Engineering look at change in organizations from two different perspectives. Each perspective has a potential added value when dealing with change in organisations. They could be regarded as two sides of the same coin; the coin of organisational change. Or are they so different that we should really see them as different sides of different coins? In this presentation we will explore the tension between Organisational Design and Enterprise Engineering further, as well as the need / benefits of combining the two. In doing so, we will also consider the role of enterprise models as potential boundary objects between the social processes from an Organisational Design perspective, and the rationality-driven Enterprise Engineering processes. We suggest enterprise models as a possible way keep to ensure that the two sides of the coin are indeed two sides of the same coin. "Preference Inconsistencies Ahead", Farnaz Behrang, Myra B. Cohen, and Alessandro Orso. Submission for all the tracks is through Easychair. Paper submission for ISEC 2017 is now closed. Submissions should contain original research and sufficient detail to assess the merits and relevance of the contribution. This year, we invite research papers submissions under two categories: Regular papers and Short papers. Regular papers should not exceed 11 pages, 10 pages for the main text (including figures, appendix etc.) and 1 page for references in standard ACM format. Short papers should not exceed 5 pages, incl. references in standard ACM format. Regular paper submissions are expected to contain in-depth description of the new ideas along with detailed evaluation. Short papers may contain, for example, new interesting ideas which may not be evaluated extensively, tool descriptions or case studies. Please note that the papers will be accepted or rejected in the category in which they were submitted; there will be no "demotions" from a Regular to a Short paper. Warning: It is ACM’s policy to forbid double submissions, where the same paper is submitted to more than one conference/journal concurrently. Any double submissions detected will be immediately rejected from all conferences/journals involved. Industry track aims to bring together industrial and research professionals of software engineering, who are eager to share and brainstorm on potential developments of common interest. This half day session will be composed of invited speeches, paper presentations and discussions with a strong focus on application of software engineering principles in practice and their impact on quality of code and ease of maintenance, time, cost, etc. Experience Based Reports and Case Study Papers: each paper should discuss the context of a problem of practical importance and provide plausible solutions. The innovativeness of the solution, the methodology and overall assessment of benefits, risks and other lessons learned need to be addressed. We invite both short papers (limited to 4 pages) and full papers (minimum 7 to maximum 10 pages). Talk Proposals: This type of submission is only open to practitioners. We solicit talks on topics that are relevant and of interest to both industrial and academic attendees. Examples of talks include, but are not limited to: software development in startups, post mortem of software projects, forgotten research topics that are still relevant to industry, new challenges in software engineering because of growth of technologies such as “Internet of Things”, “Big Data” etc. that need help from research. Posters: Poster submissions should describe recently completed work, highly relevant results of work in progress, or successful systems and applications. Poster presentations are intended to enhance informal interactions with the conference participants, at the same time allowing for in-depth discussion. Posters do not need to show final research results in detail. Work that might lead to new interesting developments is welcome. Submissions must adhere to the ISEC 2017 submission and formatting instructions and can be made to the email-id provided below. At least one author on the submissions needs to be from industry. Case study and experience reports - Paper submissions must be original (not published or under review elsewhere), include the title of the submission, the name and affiliation of each author, and up to 150-words abstract. These papers should not exceed 4 pages (for short papers) and 6 ~ 9 pages for the main text (including figures, appendix etc) and 1 page for references (for full papers) in standard ACM format. . Short papers should not exceed 4 pages. Talk Proposals - Talk proposals will be reviewed in two phases. For the first phase, the proposal should include a title, "talk description", which describes what the talk will be about, highlighting its key points and the reasons why it is interesting to ISEC attendees (500 words). Submissions should include a speaker biography and history, and can include supporting materials such as white papers or videos. Each accepted talk will be offered one page for an "Extended Abstract" in the ISEC proceedings. The target audience of this document are the attendees of the conference and the readers of the proceedings. Posters - The submission must be in the form of a two-page short paper describing problem(s), proposed approach(es) to solve the problem(s) and results if any. Authors of accepted posters need to prepare posters for displaying at the conference. Final posters should be in portrait format with approximately A0 size dimensions. The number of mobile internet users in the works, especially in India, is increasing at a dramatic rate. By June 2016, India is estimated to have 371 million mobile internet users (238 million last year), as against 91 million non-mobile internet users (116 million last year). Many users who are switching from feature phones to smartphones are giving a massive scope for mobile applications, especially in the variety of native Indian languages, to influence the daily life of users. With multiple features like cameras, location, finger-print and other sensors, wireless communications, television and streaming services, increasing on-device memory and storage space, mobiles are quickly replacing desktops and laptops as the device for online services. Though there is advancement in storage and CPU speeds, the mobile devices still face resource scarcity due to limitation in energy and size. Consequently, the development of mobile applications is becoming complex and presenting new challenges in software engineering. Cloud technology to enable easier integration and synchronization of cross-device apps developed for multiple devices (for example, cellular and wearable devices), Security in apps to prevent information leakage while balancing it with utility, M-commerce solutions to process transactions without cash or physical cards, New IoT devices and evolving standards for multi-sensor support and M2M automation, Data-analytics driven user-experience improvement in the use of tablets, smartphones and wearable devices, Multi-player mobile gaming and integration of social media with games are some of the challenges that we aim to discuss. We aim to present the novel approaches to design, development, testing and evolution of mobile applications through MSE Track. These consist of mobile application architectures, issues in the development of applications for multiple devices using multiple languages, testing and deployment of cross-device applications, and analysis of mobile applications. The scope is not limited to only to mobile devices as smart phones but also to the mobile smart devices. Submissions should contain original research and sufficient detail to assess the merits and relevance of the contribution. 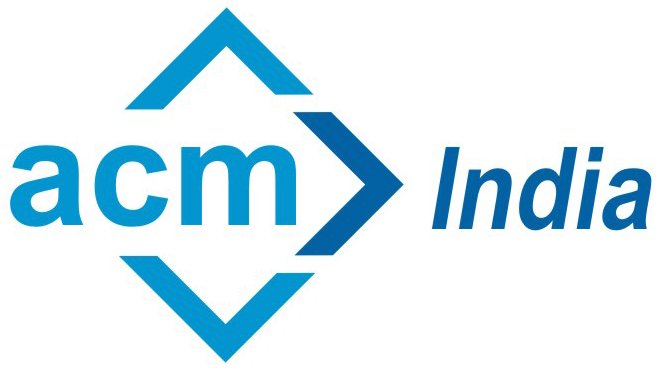 The format of the papers should confirm to the ACM guidelines available at ACM publications link. We invite papers submissions under two categories; one of Regular papers, which should not exceed 8 pages including references in a standard ACM format and the second one of short papers which should not exceed 4 pages,. The primary objective of the Graduate Symposium is to serve as a forum for Masters and Doctoral students to present their work and interact with established researchers and their peers so as to validate their work and / or obtain new ideas. A select panel of established researchers will provide feedback on your current work and give advice for possible future directions and focus. The panel will be a small group of experienced researchers from academia and industry. Masters students who have completed their thesis work within 6-8 months of the conference date or are about to complete within 3-4 months of the conference and are in the process of applying for Doctoralstudies. Doctoral students who have identified their proposal topic and are at an advanced stage (third or fourth year) of research with respect to their dissertation. Doctoral students who have completed their thesis work about 3-4 months prior to the conference date and/or are in ABD status may also submit their work. Doctoral students who are have completed their course work but are yet to concretize their research topic and wish to get constructive feedback about the two or three research ideas, research questions and approach they intend to pursue may also submit their work. Proof deduced, prototypes developed, etc. A few of the above bullet points may not apply to some of the submissions (especially students whose research is in the initial stages), but try to put in your best effort in addressing all the bullet points. A select set of students will be provided travel and stay allowance to attend the conference and present their work. Submission for all the tracks is through Easychair. Paper submission for ISEC 2017 is now closed. Submissions for Industry Track is through email mode. Please prepare your final draft by following all the instructions in CFP section of Industry track and send it by mail to industry_track@isec2017.in by keeping [ISEC 2017 Submission] in the subject of your mail. Submissions for Mobile Software Engineering Track would be through email mode. More details would be updated soon. Daily final program for ISEC 2017 is given below. ISEC Workshops provide opportunities to researchers, industry practitioners and students to discuss specific areas of software engineering in a relatively small gathering. Workshops also act as incubators for the software engineering community to work towards a particular research agenda in software engineering. Focus areas for workshops include all areas of software engineering (please refer to the list in main conference call for paper for the research paper track). A list of workshops to be conducted during ISEC 2017 is given below. 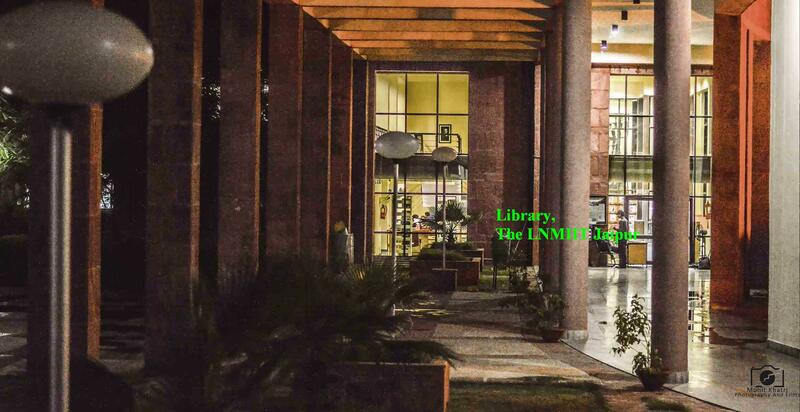 1: The LNM Institute of Information Technology, Jaipur, India. Background and Survey: This workshop is primarily targeted at Faculty and Research Scholars, either doing or planning to do research in Machine Learning disciplines and Academic Data Analytics. Various state governments in India have began tapping into the wealth of possibilities big data offers to transform operations, in interest of public services, health, services and security. However, the noble service sector of providing education has been observing fallacies and manipulative (diluted) measures that hamper the real grooming of intellectuals from the unripe brains. Education policies framed by stakeholders in reputed Universities and Boards of Studies have always rendered fair and favorable guidelines to educate the budding literates of our Nation in true sense. Still, following the current higher education policy of our Nation based on marking schemes, an amendment is needed much to convince / intelligently involve the students in putting consistent academic efforts in regular pace so that they achieve enhanced grasping levels along with good scores. The orientation of this course is towards computational linguistics, text mining techniques as well as academic data-based research. This would be a platform for academicians and researchers in data science, mining on educational data sets, students and faculty as prominent stakeholders for identifying the teaching-learning levels of the teachers and student masses by exploring wide spectrum of attributes, they exhibit while conducting / undergoing their on-going courses. These attributes do arise from their current academics, cognitive skills of grasping concepts, memory retention and answer presentation skills, all contributing to the big academic data and opening wide spectrum of opportunities to explore the trends, predictive analysis and before-hand recommendations. The primary objective of the workshop is to bring awareness among the participants, about the unexplored India’s big data industry in Academia that is expected to grow at a compound annual growth rate in the next few years. 1. The Academic stakeholders, Institutional Management, teaching faculty and students would be motivated to analyze and appraise their teaching-learning skills. 2. They will be encouraged to apply research methodologies to address various problems that crop amidst pursuing the academic courses. 3. They would be exposed to various techniques of large data handling and analysis of dimensions at deeper level s of granularities. 4. The Academic Institutions can make use of student wise counseling activities as ‘stitch-in-time facility as a part of Students Counseling Forums for enhancing students’ appraisals. The software engineering education (SEED) workshop will address pedagogical issues related to software engineering education as part of computer science and engineering programs. During this workshop, we plan to share and discuss approaches – focusing on tools and techniques - to the design and delivery of software engineering courses for effective teaching and learning. Typical software engineering course structure follows popular textbooks such as Pressman  and Somerville . Although these books introduce agile methods early, most of the material as presented in such books is much more aligned to structured methods. It is possible that an experienced instructor can choose to sequence the relevant topics to enhance teaching and learning effectiveness. However, many instructors follow the order as presented in the books that does not suit very well with the iterative and agile methodologies employed in the project work. Consequently the students often find it difficult to practice the skills required. It is also important to ensure that the assessment components are designed not only to enhance learning but also provide opportunities for students to practice and polish their software development and project management skills. This workshop the organizers will first share their approaches to effective teaching and learning of key aspects of software engineering. The first author will present the details of an approach for effective teaching and learning of software engineering courses, and discuss findings from its application of in a recently completed course offering. This approach is based on incremental and just-in-time coverage of required material supported by tools for collaborative modeling and development, and agile project management. Rather than following any typical textbook, the majority of topics are selected based on the recent recommendations from ACM/IEEE-CS . In this course, the students in small teams built realistic applications - following Scrum methodology – in three sprints using cloud based development platform. Each student performed peer review of two other project reports and demo videos after the second sprint for effective learning. The second organizer will share his experience on two separate topics related to software development and the application of tools for automated evaluation of programming assignments. The first topic is about an introductory course on Python programming has been intricately woven with diverse themes in software engineering such as programming idioms, programming paradigms, typing, modularization, type-systems, and programming language design. A number of issues of traditional software engineering are introduced through a class project, which emphasizes on requirement analysis, design, implementation, testing and teamwork. The course has had very good acceptance among freshmen. It lays strong foundation for further courses on software engineering and computer science to be taught in later semesters. The second topic discusses the main challenges of automatic evaluation of programming assignments, and then presents some ideas (developed by the speaker and other researchers as well)  in using automated software engineering (e.g. program analysis, model checking and theorem proving) in handling these challenges. Finally, there will be a panel discussion on other important challenges in software engineering education and possible approaches to address those challenges. We expect that this workshop will not only bring like-minded instructors teaching software engineering courses but also provide collaboration opportunities for conducting empirical research pertaining to software engineering education. Pressman, Roger S. “Software Engineering–A Practitioner’s Approach”, Mc Graw-Hill International Edition, 2010. Sommerville, Ian, “Software Engineering,”, 9th edition, Addison-Wesley, 2011. Ala-Mutka, Kirsti M. "A survey of automated assessment approaches for programming assignments." Computer science education 15.2 (2005): 83-102. ISEC Workshops provide opportunities to researchers, industry practitioners and students to discuss specific areas of Software Engineering in a relatively small gathering. Workshops also act as incubators to foster collaboration among Software Engineering research community. Focus areas for workshops include all areas of Software Engineering (please refer to the list in main conference call for paper for the research paper track). We invite submissions of full-day (7 hours) or half day (3.5 hours) workshops. We invite tutorial proposals from researchers or practitioners with proven expertise in any field of software engineering. These tutorial sessions, to be conducted in parallel, can either be half-day or full-day duration. We are especially interested in tutorial proposals that are of interest to wider audience. These tutorials are expected to focus ontechniques, methodologies or emerging technologies and architectures that are relevant to the software engineering community. Registration deadline for authors of all accepted papers is 20th December 2016. Early Bird Registration deadline for all delegates is over now. Instructions for registration process under different categories are given below:. Please select the appropriate payment portal to register for ISEC 2017. Registration is mandatory for all the accepted papers on or before December 20, 2016. If a paper has more than one author, any one of them can register and present the paper. Every accepted paper should have at least one registration. Accepted papers which are not registered will not be included in the proceedings. Registration Fee includes provision to attend any of the Tutorials OR any one Workshop (with prior permission from the organizers of the Workshop). Tea, Lunch on conference dates, Feb 5 - 7. 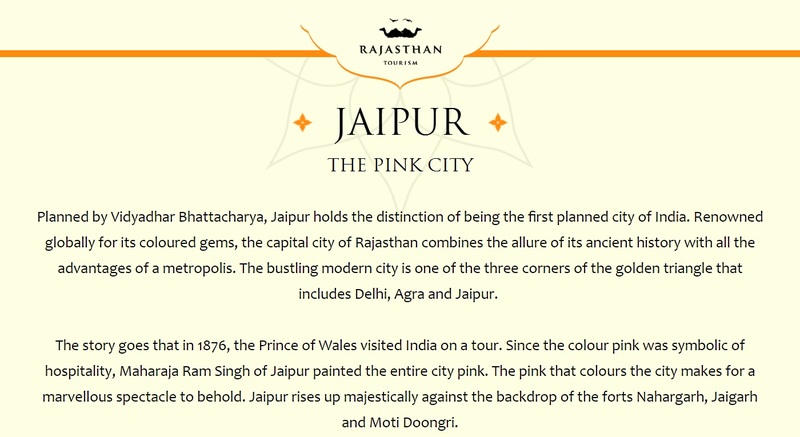 To know more about tourism in Jaipur, you may visit Rajasthan Tourism website. Full day and half day guided city tours are arranged by Rajasthan Tourism department. You may look at different options and book online here. We shall provide discounts to the organizations registering in bulk. Please select Non-authors registration portal to avail these discounts. ISEC 2017 is sponsored by following esteemed organizations. The LNMIIT, Jaipur was founded in 2002 as a joint effort between Rajasthan State Government and Lakshmi and Usha Mittal Foundation's philanthropic initiative. 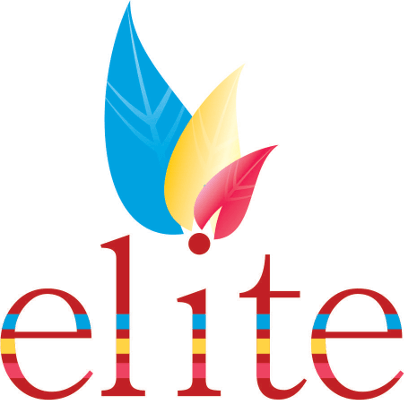 With the emphasis on quality and rigor in education, the Institute began its first academic session in July 2003 and was granted Deemed-to-be University status by UGC in 2006 under the De-Novo category. The 100-acre green residential campus is located in a serene atmosphere on the outskirts of India's pink city, Jaipur. 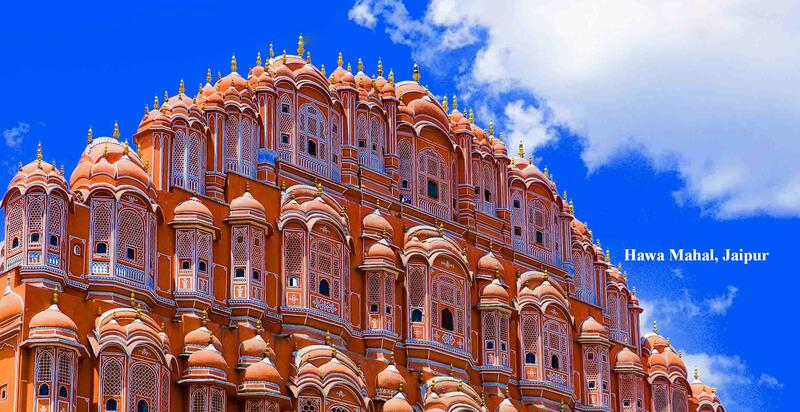 February is one of the most pleasant months to visit Jaipur. The month of February is characterized by rising daily high temperatures, with daily highs increasing from 23°C to 25°C in first half of the month. Daily low temperatures range from 11°C to 16°C, falling below 8°C or exceeding 19°C only one day in ten. We advice you to carry suitable clothes for your visit to ISEC 2017. Daily expected weather conditions are shown below. Please write to Sunil Kumar (isec17org@lnmiit.ac.in) with CC to rgorthi@lnmiit.ac.in if you have any queries. Other hotel details are given below. Jaipur is known for its heritage hotels (Haweli) ans resorts for luxurious stay. You can opt of one of these options for your stay. Nagar, Jaipur, India , Rajasthan, India 302018 3824-4724 4 Tel: (+91-141) 2550616-19. You are currently viewing snapshot backup of the website.